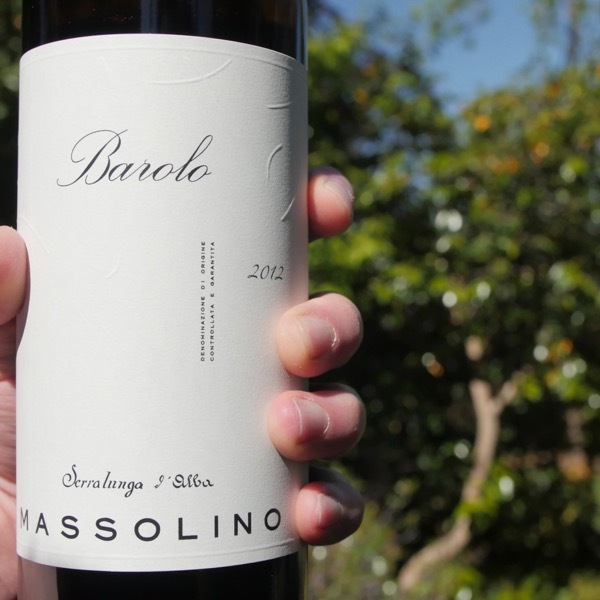 When it comes to Barolo, Bartolo Mascarello is at the top of the tree. Filled with personality and incredible harmony, Maria Theresa has taken them to the next level since she took full control in around 2004. A vertical tasting of the wines was one of the most exhilarating Nebbiolo experiences I’ve ever had. Check out this article in the Wine Bite Mag “The Great Bartolo Mascarello” It covers a fair bit of ground including a discussion with Maria-Theresa and archival footage with Bartolo. Old school and proponents of blending across sites rather than single Cru wines. Bartolo Mascarello wines are filled with personality and delight. One of the best dinners I’ve ever had was devouring a vertical of Bartolo Mascarello. One thing is clear, with the passing of the baton from Bartolo to his daughter Maria Theresa the wines have only gotten better! 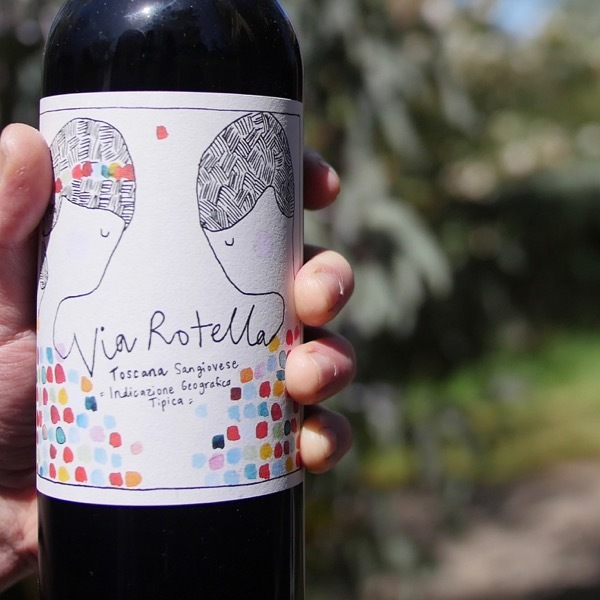 Maria-Teresa Mascarello ably carries the torch handed down from her father Bartolo after his death in 2005, arguably taking the wines to a place of greater consistency, vibrancy and detail through considered and careful changes, while remaining staunchly traditional. Having returned from her foreign language and literature studies, Maria Teresa joined Bartolo in 1994, and as his health and mobility declined later that decade, assumed more and more of the day-to-day control of the cantina. Established in 1918 by Maria Teresa’s grandfather and Bartolo’s father, Giulio, with a loan of 10,000 lire from his father Bartolomeo, Cantina Bartolo Mascarello’s vineyards amounted to 4 hectares by the 1930s, and has only grown to 5 hectares in the ensuing years with the purchase of a parcel of land from a cousin in the 1980s. As in times past, only one Barolo is produced, blending fruit from Cannubi, San Lorenzo and Rue (Barolo), with Rocche dell’Annunziata (La Morra). Never have they succumbed to the temptation of a single cru wine, believing that the blending of sites affords greater consistency in the finished wine, particularly in drier vintages. Not interested in making a perfect wine, but only a true one, Maria Teresa is adamant that the vineyard is where great wine is made and, as such, pesticides and herbicides are eschewed, while rigorous selection is employed prior to fruit entering the cantina, where the level of intervention and manipulation is kept to the bare minimum. Fermentation takes place in large concrete vats dating from the 1940s, in the absence of temperature control and with naturally occurring yeasts. Maceration times are long, averaging 30 days and up to 56 days – in 2010. Ageing in large Slavonian botti follows for 3 years, before a further year in bottle prior to release. Nebbiolo, pronounced NEH-bee-oh-low, is such a unique variety. The name is derived from the Italian word Nebbia meaning fog. Two theories for the name exist. The first that it refers to the fog that the vineyards of the Langhe are often immersed in. Second that the natural bloom that covers the grapes gives them a foggy appearance. Given the latter applies to most red grapes I prefer the former! There are 4 main clones of which Nebbiolo Lampia dominates over Nebbiolo Michet, Rosé (now proven to be a different variety), and, Bolla. Southern central and north Piemonte: Langhe including Verduno, Roero, Ast, Carema, Biella, Novara and Vercelli. In Alto Piedmonte’s Gattinara, it is known as Spanna, we have seen Giacomo Conterno buy Nervi to produce wines in this region. 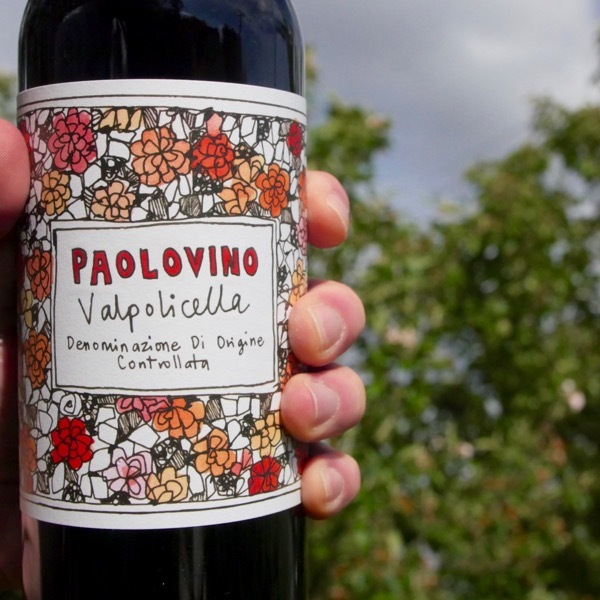 It is also grown in the lower parts of the Valle d’Aosta where it is known as Picotendroi, and, Valtellina in Lombardy where it is called Chiavennasca among others. The ultimate case of not judging a book by its cover, Nebbiolo, at first appears pale in colour, old wines can have the appearance of rusty tap water. Then you smell it! The aroma of most red wines is dominated by fruit characters. In contrast, Nebbiolo’s aroma is typically a mix of complex secondary aromas, earthy, tarry, spice, rose, citrus peel, woody herbs like rosemary, liquorice, phenol, dark chocolate, tobacco, truffles, leather, and, dark cherry fruit, often more evident on the palate. You’ll see this difference immediately by comparing it two the other two main Piedmontese varieties Barbera and Dolcetto. Good Nebbiolo has a core of fruit running the length of your tongue, along with layers of those same secondary characters. Nebbiolo’s grape tannins give it a distinct texture, that for those who have not tried it before can seem hard, and, unyielding. Look for the quality and depth of tannin. Achieving well balance tannin, alcohol, and, acidity makes for great Nebbiolo. More than most other Italian wines, Nebbiolo, demands food to be at it’s best. A little fat and salt, enhance the texture and bring out the flavours. Decanting: All of these wines will benefit from being thrown in a decanter, particularly in their youth. If you’re using a Coravin or other wine preserver, pour enough into each glass to be able to try them over the course of several hours. These young reds will open up and be more expressive with a bit of time in the glass. Cellaring: Wait at least 3 years for the wine to fully settle! Best to 2022-2028. 數Food Match: Just think Piedmontese, braises, rich tomato based ragù, truffles, beef, quail, lamb, wild boar, rabbit. Beef carpaccio with egg yolk and truffle oil! Head south and pair it with a pizza and you’ll go to a happy place. They make for excellent BBQ wines too. This lovely radiant Barolo is another showstopper despite the difficulties of the cool wet vintage. It's incredibly elegant, with alluring scents of perfumed blue flower, rose petal, woodland berry and a whiff of menthol. The focused graceful palate boasts fantastic tension, showing wild strawberry, crushed raspberry, star anise and cinnamon framed in taut polished tannins and vibrant acidity. It's already enjoyable but will also offer good mid-term aging. Drink through 2034. 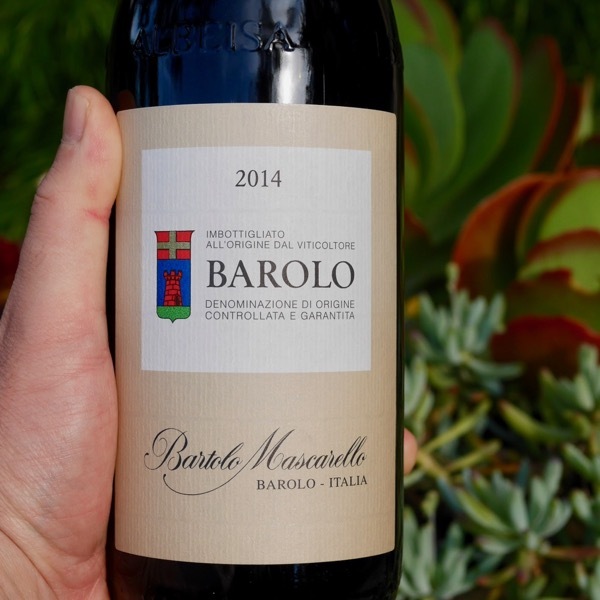 Maria Teresa Mascarello's 2014 Barolo has put on a good bit of weight since I first tasted it, yet it remains nervous, tightly wound and compact - which is to say, very much in the style of the year. Time in the glass brings out a host of bright red cherry, pomegranate, mint, leather and orange peel nuances, but only with reluctance. 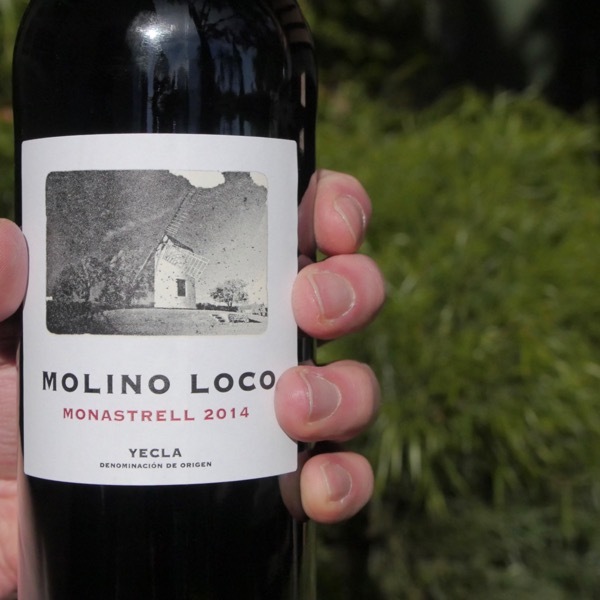 The 2014 is a positively electric Barolo, but it likely won't be ready to charm anytime soon. Readers should plan on cellaring it for at least a handful of years. Sadly, production is down by 40%. Playful drink, great perfume, packed full of flavour! Pizza wine everyday of the week & twice on Sunday's!